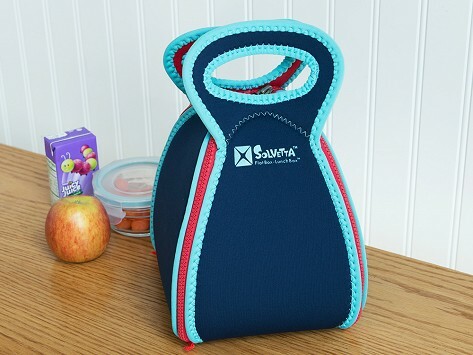 This neoprene lunch bag is a "flat box lunch box." Unzip and it transforms into a placemat to keep your food off of unclean surfaces. Founder Rita Floyd-Vester is a teacher and mom who discovered the school cafeteria table is the germiest place in school. 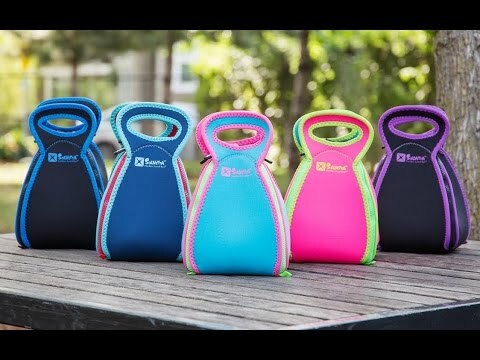 She created Solvetta in durable, washable fabric that’s ideal for school kids, but fits in at the office, a picnic, or anywhere else. Dimensions: 11.5" x 11.5" x 1"
I got these for me wife and I. They are are go to lunch bags. They are wonderful. Solvetta is a “flat box lunch box”— just unzip and it transforms into a placemat. It’s an easy, fun-looking way to contain mess and keep foods off unclean surfaces. If you have kids, you understand the importance of both. Founder Rita Floyd-Vester is a teacher and mom who witnessed how fast sickness spreads in school. She went looking for which areas were the main germ-laden culprits. Turns out, it’s cafeteria tables. They’re even germier than doorknobs and water fountains, a result of kids putting backpacks, books, and lunch boxes from the ground and floor onto the table. Rita invented the Solvetta Flatbox to carry a clean eating surface along with you. Made of soft, durable neoprene, it will stand up to repeated washings. And it's not just for school. One look at your office lunchroom will probably tell you Solvetta's Flatbox is also great for work, as well as picnics, beaches, boats, and barbecues.